From the mellifluous voice of a venerable American icon comes her first original collection of writing to be published in ten years, anecdotal vignettes drawn from a compelling life and written in Angelou's erudite prose. 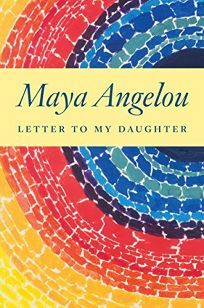 Beginning with her childhood, Angelou acknowledges her own inauguration into daughterhood in ""Philanthropy,"" recalling the first time her mother called her ""my daughter."" Angelou becomes a mother herself at an early age, after a meaningless first sexual experience: ""Nine months later I had a beautiful baby boy. The birth of my son caused me to develop enough courage to invent my life."" Fearlessly sharing amusing, if somewhat embarrassing, moments in ""Senegal,"" the mature Angelou is cosmopolitan but still capable of making a mistake: invited to a dinner party while visiting the African nation, Angelou becomes irritated that none of the guests will step on a lovely carpet laid out in the center of the room, so she takes it upon herself to cross the carpet, only to discover the carpet is a table cloth that had been laid out in honor of her visit. The wisdom in this slight volume feels light and familiar, but it's also earnest and offered with warmth.